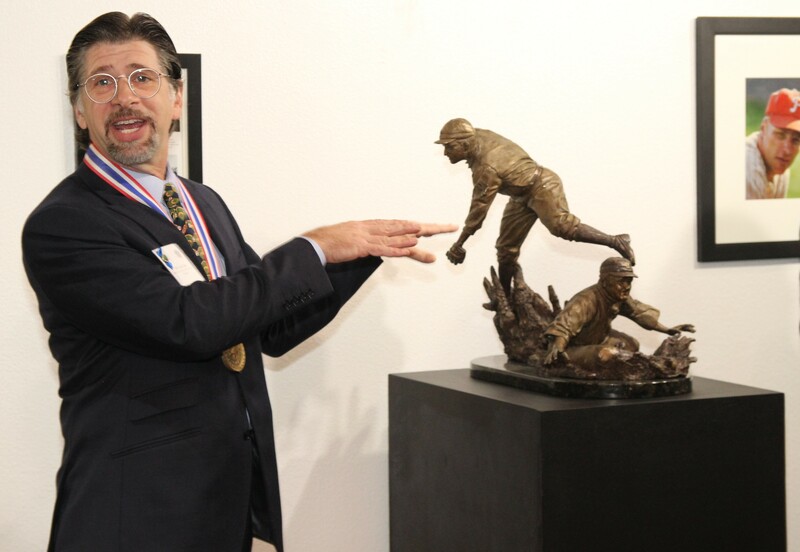 Painter Graig Kreindler and sculptor Lou Cella were presented the United States Sports Academy’s 2018 Sport Artist of the Year awards during a public art show and a “Tribute to the Artist and the Athlete” at the Academy. Cella of Chicago, Ill., was presented the honor by Academy Trustee and Art Committee member Jack Scharr during the event. Cella’s sculpture, “Cobb Steals Third,” is also now a permanent part of the ASAMA collection. 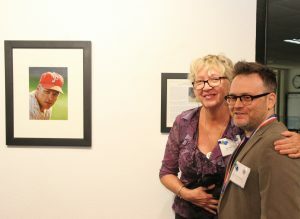 The piece is based on what is widely recognized as the greatest baseball action photo of all time. Shot by renowned photographer Charles Conlon, the photo depicted baseball legend Ty Cobb of the Detroit Tigers sliding into a base under the tag of Jimmy Austin of the New York Highlanders, who would later become the Yankees. 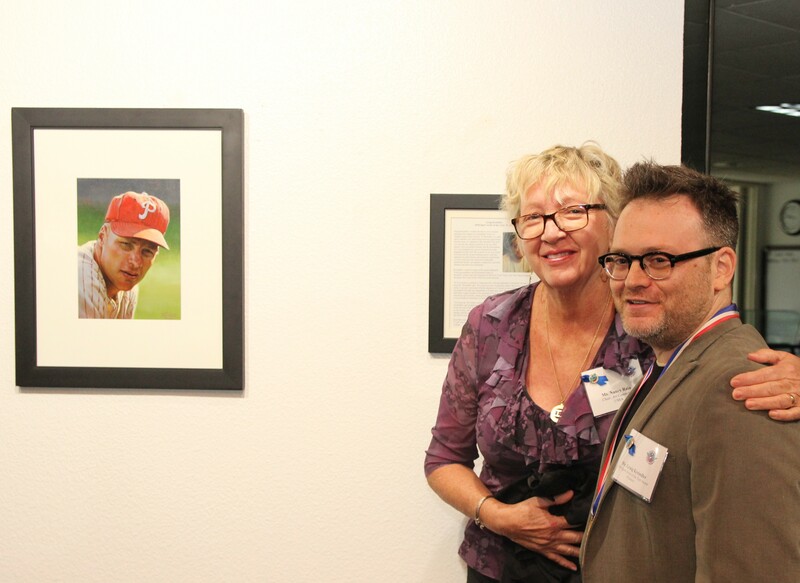 Known as “The Painter of the National Pastime,” Kreindler’s work focuses on the quaint ballparks, lively personalities and dominating teams in baseball’s history. He has been featured in The New York Times, The Wall Street Journal, Sporting News and on the YES television network. Cella is widely known for his works featured at famous sport venues across the United States, including Wrigley Field in Chicago; Comerica Park in Detroit, and the Green Bay Packers Heritage Trail in Wisconsin. “Sports is a great unifier, and baseball I have found has this great family oriented quality to it,” Cella said. “My two great passions in life are sculpting and baseball, so when I am able to bring those together, it is a great, great thrill. And having my career come this far, and having this great (Academy) family invite me to be part of it, is just really humbling.